It is easy to get into the Christmas spirit in December when carols are playing everywhere you go, and the stores are filled with holiday displays. But what if you want to keep the feeling of Christmas all year long? You’re in luck. 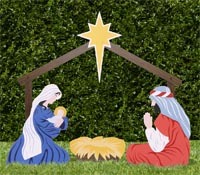 There are some museums, churches and retailers in America that offer nativity displays throughout the year. In fact, you may find even more meaning by visiting these locations in the “off season” when crowds are less, and you can take your time enjoying the art and the meaning of the creches on display. 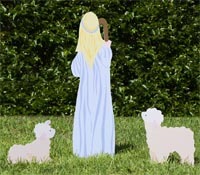 Here is our list of places to see nativity sets on a year-round basis. If we have left out any of your favorites, please be sure to let us know. This fall and early winter season is your last opportunity to visit the National Christmas Center in Pennsylvania Dutch Country. The long-time family attraction is closing its doors on January 7. In addition to its other Christmas exhibits, the museum offers a collection of nativity sets from different eras and from different countries. You can sit and relax while looking at a diorama combining several crèche elements and listening to a biblical recording of the First Christmas. Billed as “The World’s Largest Christmas Store,” Bronner’s lives up to its name when it comes to nativity sets. 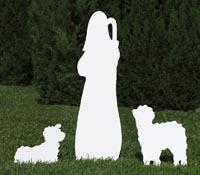 The store offers over 500 styles of nativities, ranging from ornaments, to advent calendars, to wall décor, to tabletop Nativities, half life-size, and life-size nativity sets. 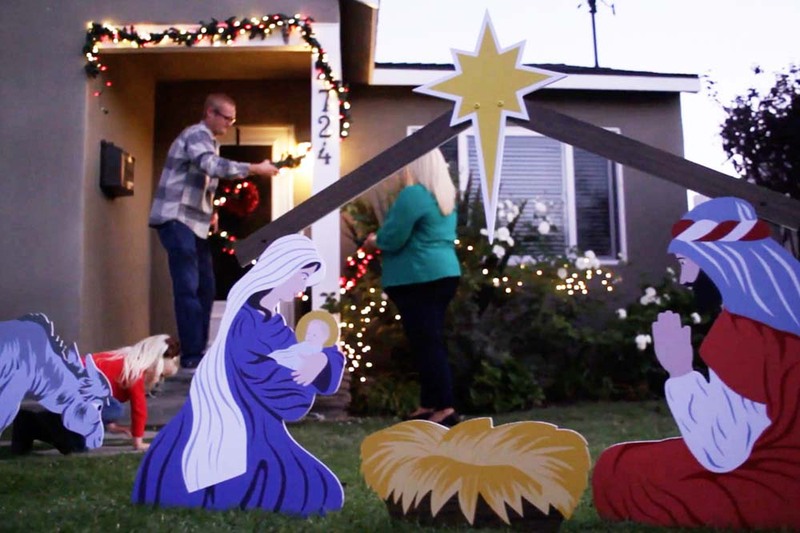 Every one of the more than 300 decorated trees have at least one nativity ornament. 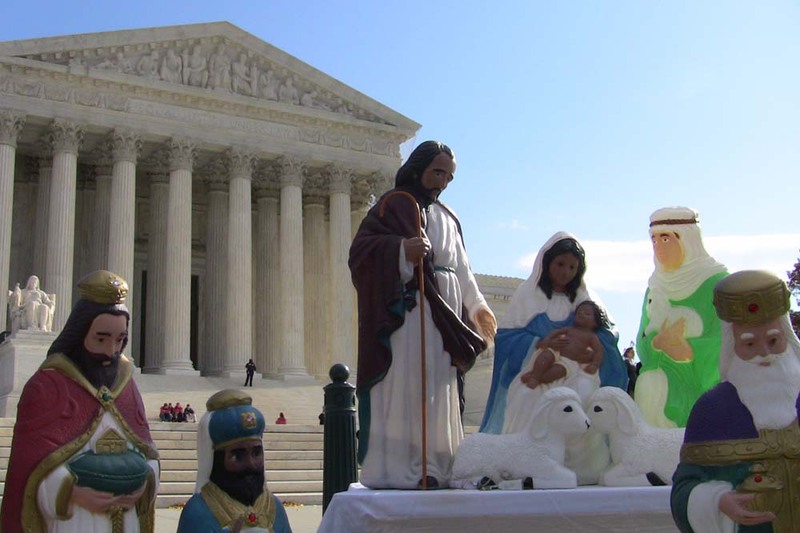 The Bronner family, who founded the store in 1945, exhibit their collection of over 100 nativities from around the world in the program center for guests to view. Don’t miss the “Silent Night” Chapel, a replica of the Austrian church where the Christmas tune originated. With more than 3,500 nativity sets, the University of Dayton boasts one of the largest collections of creches in the United States. Representing more than 100 countries, the diverse collection celebrates how people ponder and picture the birth of Christ through their unique cultural perspectives. Selections from the collection, including sculptures, painting and statues, are on display all year at the Marian Library. 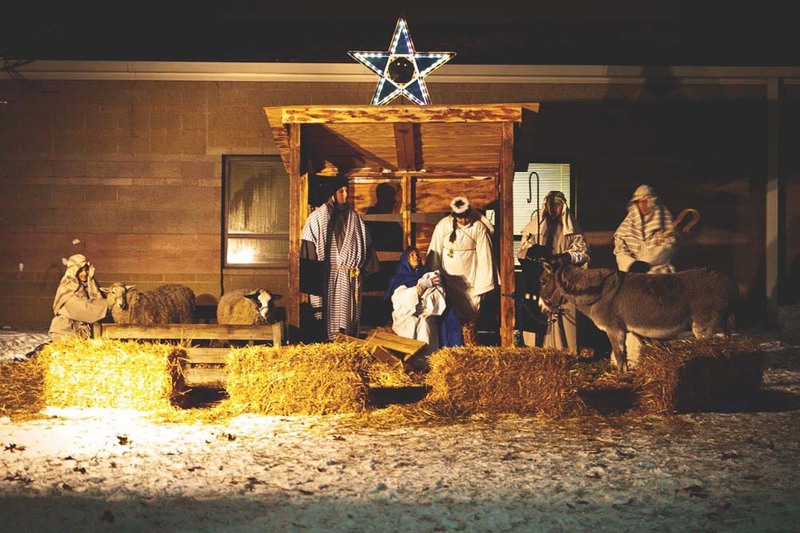 Be sure to check the website for information on “At the Manger,” the university special holiday programs. The Girard Wing of the Museum of International Folk Art contains some colorful and unique nativity sets in its “Multiple Visions: A Common Bond” display. Museum donors Alexander and Susan Girard collected nativity sets mostly from Europe and South America, and each one offers a fascinating look at the Holy Family and the night Jesus was born. The bright and open permanent exhibition appeals to children, and special guides and multimedia tours are available for families. You’ll need to call in advance to schedule a visit Bethlehem in Denton County, a collection housed on a family farm in Northern Texas. Judy Klein has amassed a large private collection of more than 1,800 creches, representing art from the early 20th century to today and from about 25 different cultures. 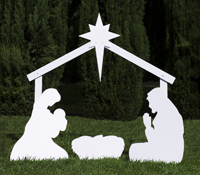 The nativities vary in size from six feet tall to tiny table top sets. Billed as “the South’s largest Christmas shopping village,” the Incredible Christmas Place is located in the foothills of the Smoky Mountains. 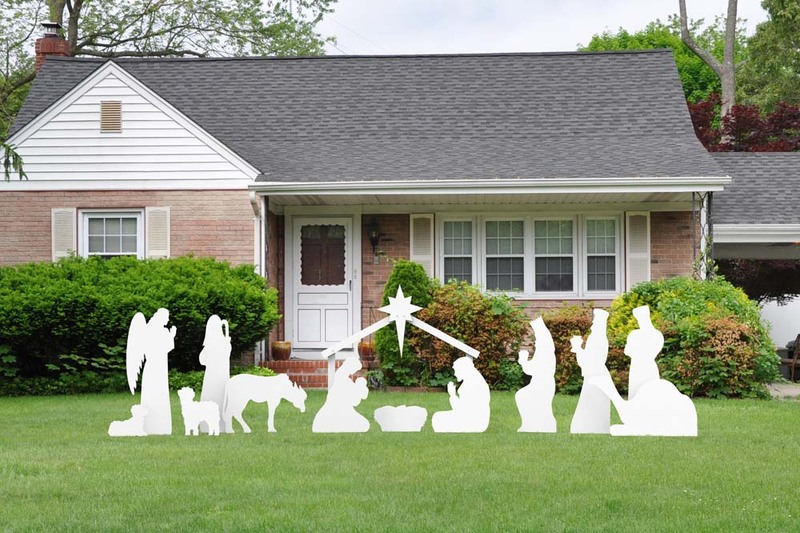 From ornate to simple, from ceramic to wooden, from realistic to representational, this huge retailer displays and sells a wide variety of nativity sets. Founded as a small business in 1986 by Hurshel and Marian Biggs, the unique holiday shopping village has grown to include 43,000 square feet of shopping space. Mosack’s is a family-owned and family-operated Christian retailer with a 6,000-square-foot store in Mentor, which is about 25 miles east of Cleveland. The three-story Victorian-era building features 12 rooms that are named after the 12 apostles. In addition to other faith-based items on display, the store has a huge collection of beloved Fontanini Heirloom nativities. Founded in 1770 as the Mission San Carlos Borromeo de Carmelo, the historic Carmel Mission has a breathtaking nativity scene from Mallorca on display all year. It shows an 18th century village in great detail. In 1986, the McCormick family donated the creche to the mission, and it is housed in a small room, facing a crucifixion scene (or “Deisis”) that dates to Colonial Spanish America. The museum at St. John Cathedral showcases a fine collection of 18th century Italian presepio (nativity scenes) created by Neapolitan craftsmen. Jeffrey Gueno and Frank Hanley collected the figures, which depict life in 18th century Naples, over a 30-year period and donated them to the cathedral. Call to schedule a tour. The Martha Spencer Rogers Crèche Collection at the Westminster Presbyterian Church has nearly 200 nativity scenes from around the world. Rogers, a Westminster member who began collecting crèches in La Paz, Bolivia in the mid-1960s, donated both her collection and her custom display cases to the Westminster Collection in 2007. It now is on permanent view on church’s second floor and lower level. The Christmas Museum at Byers’ Choice displays more than 200 crèches from around the world, including an 18th century presepio. The store and museum, located in historic Buck’s County, Pennsylvania, is open year-round. The Nativity of the Lord Jesus Church has a museum adjacent to its chapel that displays on a rotating basis a collection of more than 500 nativity sets from around the world. The church basement also includes The Bethlehem Cave, a replica of the cave where Jesus was born. Call to schedule a group or personal tour. Posted in Christmas, Guides, Nativity Sets on October 16, 2017 and tagged art of the nativity, church, collections, creche, Italy, Naples, nativity scenes, presepio.